In the wake of Virgin America’s acquisition by Alaska Airlines, iconic airline Pan American Airlines sees a opportunity opening up for a flying experience that’s a cut above the usual. 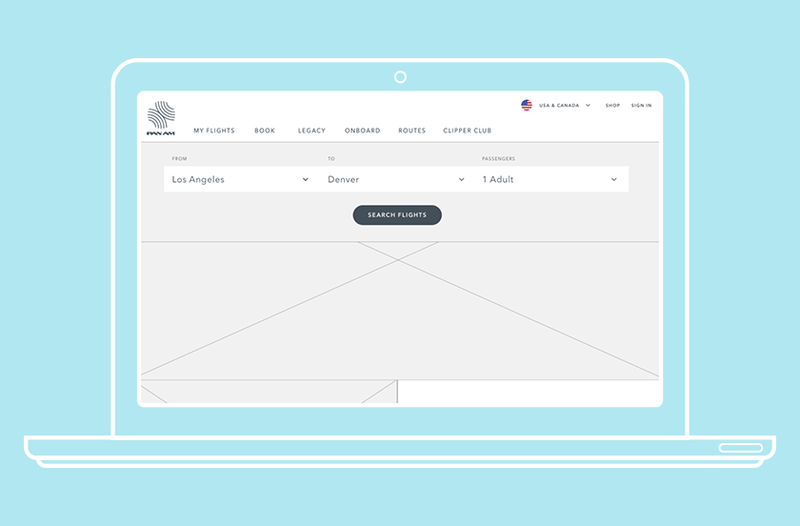 Pan Am wants to make a very strong comeback, and needs a next-level user experience for their new website. 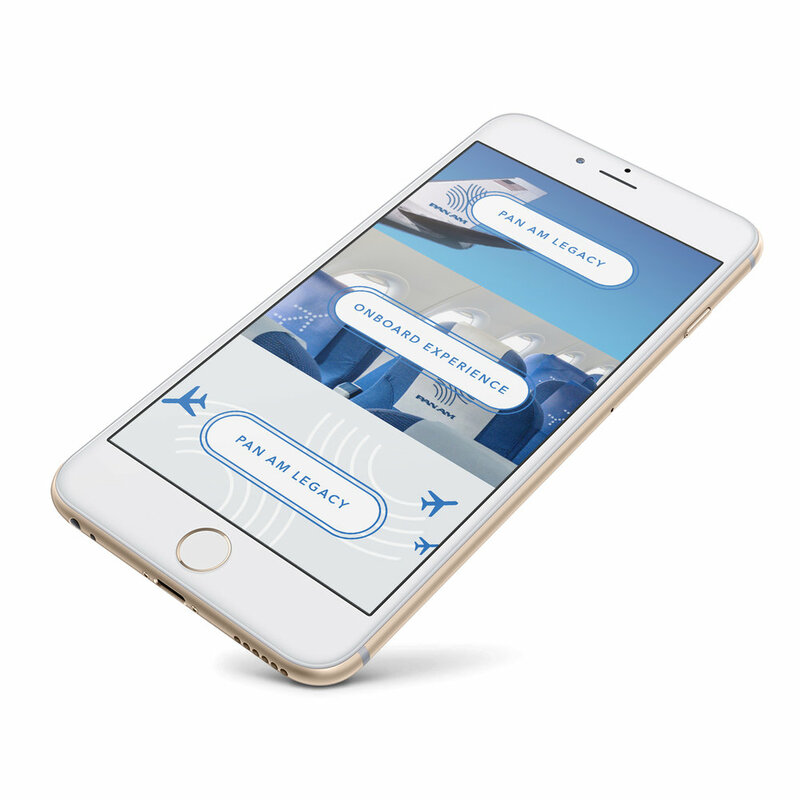 The challenge was to create a responsive website that leads users through the process of booking and managing flights. While users were quite comfortable navigating through and booking airfare on a variety of sites and apps, they shared a common frustration over pricing transparency. In addition to using an established UI pattern that users can easily progress through, the Pan Am website should provide users with tips about pricing trends. I discovered two general behaviors toward airline loyalty and shopping during my primary research. Brandon travels frequently for work and vacations. He perceives frequent flyer miles as the primary way to save money long term. Anna is a vacation traveler who values price over brand. She will shop a variety of websites including aggregators/third party and airlines in order to find the best price. Flow for booking a flight. Early testing with users revealed better solutions for the results screen. 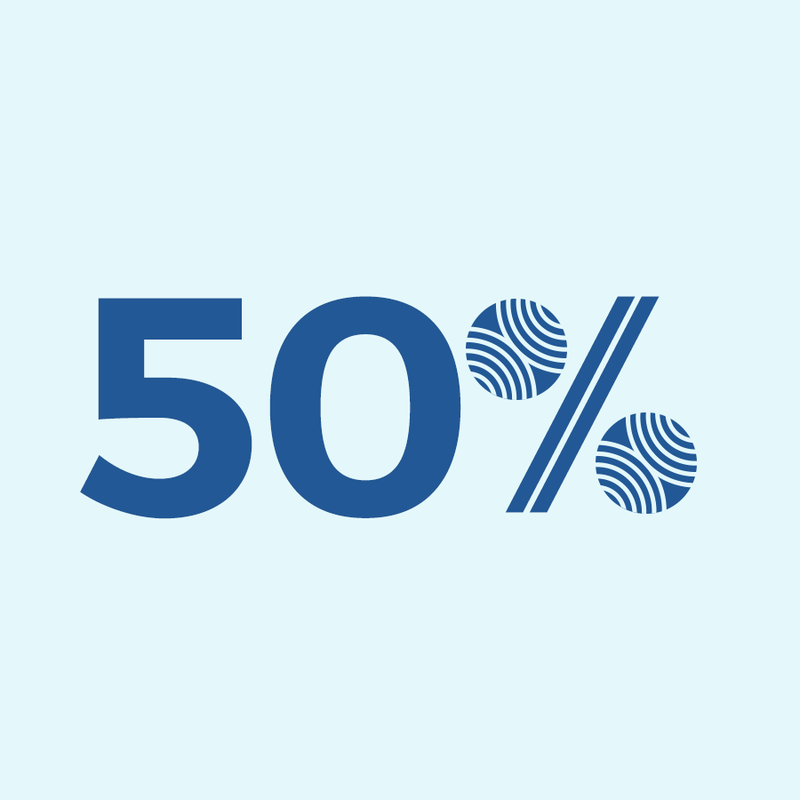 50% of users tested reported it took them a lot less or a little less time to book their flight than they would have expected. 66% of users tested indicated the Pan Am website would serve their needs very well or extremely well. 100% of users tested reported that it was very easy or extremely easy to book a flight on the website. Testing led to minor changes to labeling and styling that improved clarity for users. Within six months of the website launch, a rewards mobile app will be developed. The app will incentivize users to enroll, track, and spend Clipper Miles in a unique and engaging way.